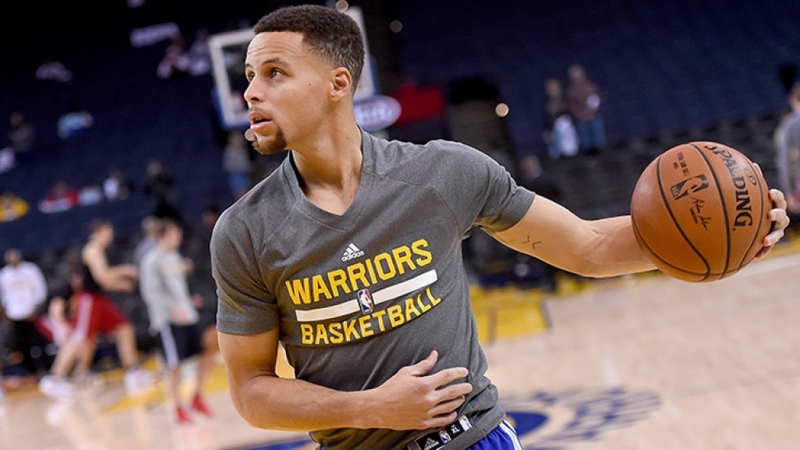 Stephen Curry warms up before the Warriors' Christmas Day game against the Cavs, Friday, Dec. 25, 2015. Steph Curry is a gift. If you’re a basketball fan, a Bay Area fan, or just like watching poetry in motion, Steph is your guy. One MVP notched, a second possibly on the way, and currently taking the court as a world champion. But, like so many basketball players who are not satisfied with on-court heroics, Curry is also moving in another direction. Not another shoe (although he does have a very successful thing going with sport clothing company UnderArmour). The company, which according to GeekWire has quietly raised just under a million dollars, is called Slyce. It’s something of a social media play, helping athletes navigate the complicated world of Twitter, Facebook, WhatsApp, Instagram, etc – in other words, communicating with your fans, without saying anything that makes you look bad. It’s a good idea. The social media revolution has brought fans and players (and musicians, and actors) closer together than ever. At the same time, it’s dangerous. Tweeting while angry or otherwise impaired has led to public relations nightmares that have (excuse the pun) sliced through any and all momentum a public figure may have worked to earn up to that point. Curry, and the Slyce CEO (a former Nike employee) brainstormed about what athletes could be doing better with their social media profiles. For example, aside from the obvious missteps, Slyce points out that athletes often see their profile numbers dip after a quick run-up, partly because they’re too busy to massage their social media profiles, but also because fans get weary of seeing the same old posts. Slyce wants to make the process of keeping up a good social media profile easier, and more efficient. Using existing technologies like automation, but also coaching athletes on the best way to keep fans up to date, while not losing focus on the sport that pays the bills. It’s a natural direction for an athlete famous for his skills, but also appreciated for how well he interacts with the community. He also has mad business skills. An analyst at financial giant Morgan Stanley recently told investors that Curry alone could be worth close to 14 billion dollars to UnderArmour’s bottom line. That’s a lot of value. And now, that value generator has got a startup. Expect the Venture Capitalists to line up for access like Warrior fans for tickets.